DAVID LE/Staff photo. 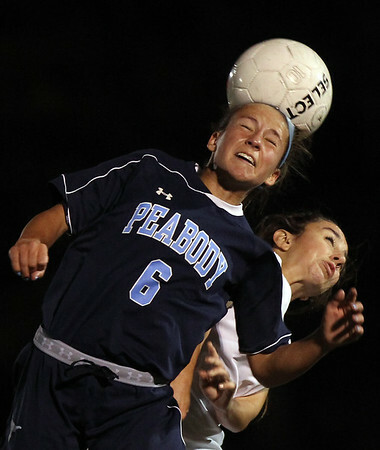 Peabody's Emily Nelson (6) leaps high to battle for a header with Marblehead's Megan McCarthy, right, on Wednesday evening. 10/14/15.